The latest MG advert, launching the new MG6, will be popping up on TV screens across the country throughout May as part of the latest marketing campaign. The new commercial features the newest addition to the growing marquee; the MG6, and incorporates the popular MG3. The advert will appear on channels from tomorrow and will run until the end of May. 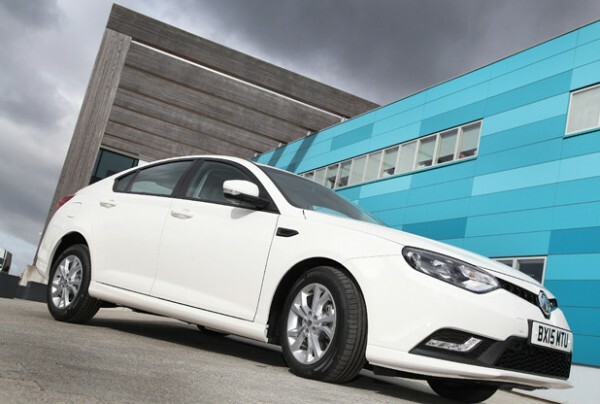 The new MG6 offers market leading specification from only £13,995 on the road. Those tuning into channels including ITV Central, Channel 4 Midlands, as well as a range of national satellite channels including GOLD, Film4, More4 and Dave, will find the new, vibrant advert appearing in the breaks of popular programmes. Highlights this weekend include Britain’s Got Talent, Sunday Brunch and the revised 1970’s gameshow Celebrity Squares. Throughout the rest of the month the advert will feature throughout the day appearing between programmes such as This Morning, Emmerdale, Coronation Street, Countdown, Deal or No Deal, Homes Under the Hammer, re-runs of Top Gear and Escape to the Country. The new model, which launched earlier this month, is available in three trim levels, the S, TS and TL. Even for the base level, customers will find they are getting more for their money with heated seated, front LED daytime running lamps and an electronic parking brake. Prices start from £13,995 and go up to £17,995 for the top level TL. Previous Industry News: Jaguar shines in ownership surveys. Next Ayrton Senna: 21 years since his death.